Most users transfer videos from iPad iOS 12 to PC to avoid filling up the storage spaces. These days everybody has something that needs to be captured and stored for future preferences, for instance, a baby’s first walk or talk and much more, however, every time you record a video ‘not enough space’ keeps popping up. Alternatively, you can either let it be or transfer videos from iPad iOS 12 to PC or Mac. By rule of the thumb, most of you will prefer moving the videos to letting the moment pass by, which as a matter of fact is reasonable. iMyFone Umate Pro or iMyFone Umate Pro for Mac has all these perks to ease up your stress that revolves around your iDevices. 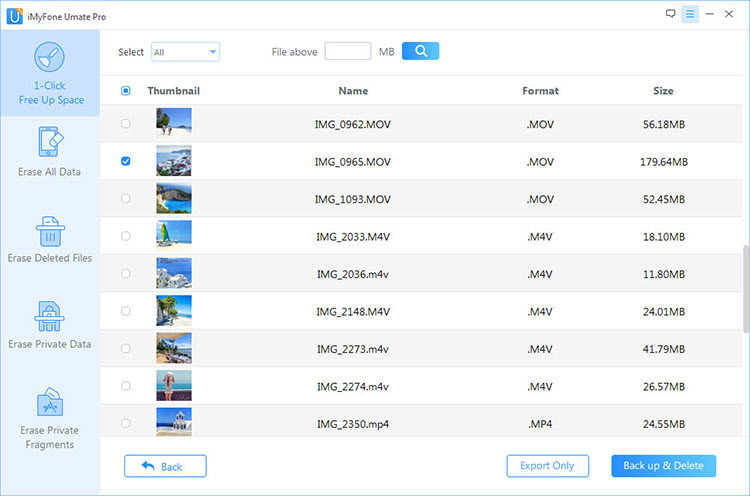 As a videos transfer app, it can help you to transfer videos from iPad iOS 12 to PC or Mac. If you do not want to transfer all videos, you can select some according to different file sizes or just one by one. After videos transferred successfully, it will also automatically clean the selected videos from iPad. You can now breathe a sigh of relief because iMyFone is going to assist you to solve all your issues through just one click, all you have to do is connect your iDevices iOS 12, allow it to scan and finally clicking to free your device of massive space. 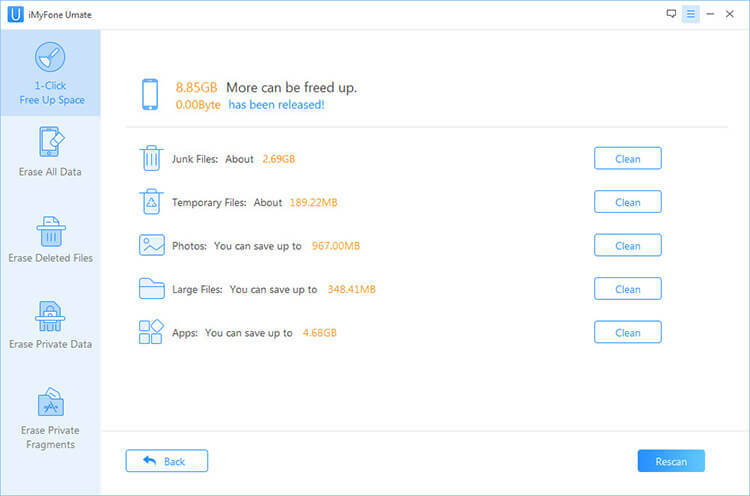 Clear junk files from your iDevices iOS 12 to reduce chance of issues. Make it easier for you to operate numerous applications. Clear up temporary files to restore available space. Reclaim 75%+ of photo space by either deleting or compressing your photos. Backup and delete large files to restore your phone space back. 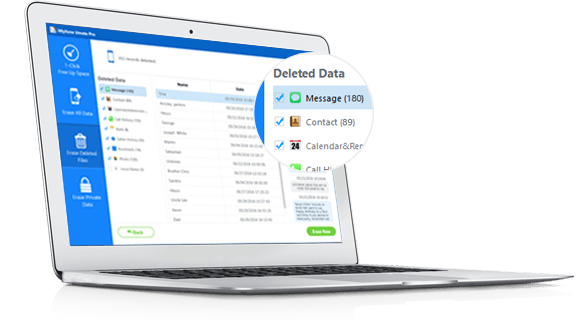 Permanently erase all or selected data like WhatsApp, 100% unrecoverable. Find out previously deleted files and completely delete them. 1. Connect your iPad to your PC using a USB cord and open iMyFone Umate Pro. 2. Tap “Quick Scan” button and wait for it to scan. Then click “Clean” button beside “Large Files”. 3. Preview and select videos which you would want to back up in your system and hit “Start” button. After transferring, it will help you to clean selected videos from iPad. You can tap “Open backup folder” to view the videos. Using a USB cord plug your iPad into the PC; the AutoPlay option will appear abruptly. 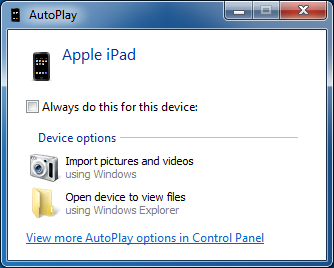 Choose “Import pictures and videos” in AutoPlay dialog and your PC will scan your iPad. Choose “Import Settings” and select the targeted folder where your want to store the videos on PC. Tap “Import” to start the transferring process. When it finishes, you can also choose to delete photos from your iPad.